Could Even High-Fat Dairy Be Good for You? TUESDAY, Sept. 11, 2018 (HealthDay News) — Dairy foods might be your ticket to better heart health, even if you’re drinking whole milk and eating rich cheeses, a new study suggests. The study couldn’t prove cause-and-effect, but folks who ate three servings of dairy per day had an overall lower risk of death during the study period than people who ate no dairy. They also had a lower risk of stroke and death from heart disease, researchers found. The benefit was linked to both whole-fat and low-fat forms of dairy products, said lead researcher Mahshid Dehghan. She is an investigator of nutrition epidemiology with McMaster University’s Population Health Research Institute in Hamilton, Ontario. One standard serving of dairy amounts to about 8 ounces of milk or yogurt, half-an-ounce of cheese, or a teaspoon of butter, according to the study. The research received no funding from the dairy industry. Despite the new findings, the American Heart Association would still urge people to stick to low-fat dairy, said spokeswoman Jo Ann Carson, a professor of clinical nutrition with the University of Texas Southwestern Medical Center in Dallas. “We know in general getting more saturated fat raises your LDL cholesterol, and that’s the number one risk factor for heart disease, especially in the United States,” Carson said. Dehghan pointed out that some people avoid dairy because of its saturated-fat content, because fat has more calories and because saturated fat has been linked to higher “bad” LDL cholesterol levels. But in doing so, they are missing out on other important nutrients that dairy provides, such as amino acids, vitamins and minerals, she added. To study the impact of dairy on heart health, the researchers examined data from over 136,000 people, aged 35 to 70, in 21 countries. People filled out a food questionnaire at the start of the study, and then were followed for an average of nine years. People in North America and Europe had the highest dairy consumption — more than four servings per day, on average. South Asia, Southeast Asia, China and Africa all had less than one serving per day, on average. Compared to people who ate an average three servings of dairy per day, those who ate no dairy had higher rates of overall death (3.4 percent versus 5.6 percent, respectively), heart-related deaths (0.9 percent versus 1.6 percent), major heart disease (3.5 percent versus 4.9 percent), and stroke (1.2 percent versus 2.9 percent) during the study period. The benefit held even among those who ate only whole-fat dairy. 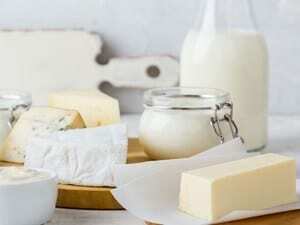 Compared with those who ate less than half-a-serving daily, people who had three servings a day of whole-fat dairy had lower rates of death (4.4 percent versus 3.3 percent, respectively) and heart disease (5 percent versus 3.7 percent) during the study. Carson noted that dairy products contain potassium and magnesium, minerals linked to lower blood pressure. “A lot of times we push fruits and vegetables as a source of potassium and that is an important source, but drinking two glasses on non-fat milk every day would give you a reasonable amount of potassium also,” Carson said. That said, people should stick to low-fat dairy, she advised. Carson gave the example of patients with high cholesterol who are told to stop eating high-fat dairy. Researchers cannot say whether eating more than three servings per day would be of increased benefit, because not enough people in the study ate that much dairy, Dehghan said. The study was published online Sept. 11 in The Lancet. The American Heart Association has recommendations for a heart-healthy diet.